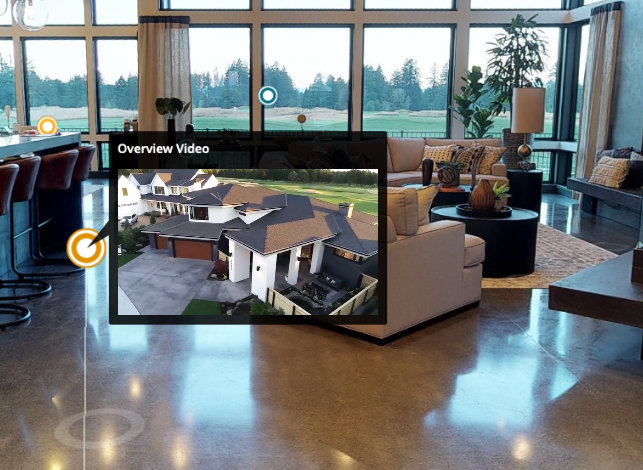 The online experience for homebuyers is to move through a property and see it from any angle. Dollhouse and Floor Plan views give homebuyers a completely unique sense of the property. We provide the most feature rich tours in the market. Online visitors learn about features and amenities by simply taping on “informational tags”. These tags can contain text, photos, links or video clips. It’s like having a virtual salesperson point out features as they walk through. Northwest contemporary home and winner of best of show in Portland’s 2018 Street of Dreams. Penthouse Luxury Condo provides panoramic views of the the park and Columbia River. Tour this state-of-the-art dental office to see and learn about their practice.